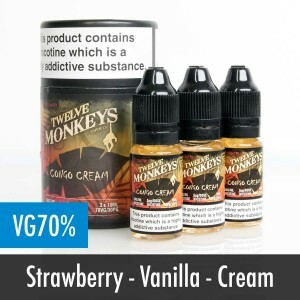 Producing their e-liquids in Canada, Twelve Monkeys E-liquids are one of the hottest liquids available in the UK. 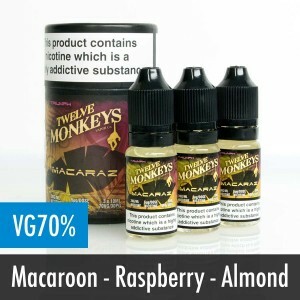 Offering great tasting flavours such as Mangabeys (a blend of mango, pineapple and guava) and Macaraz (macaroon, raspberry and almond), Twelve Monkeys are really pushing the boundaries when it comes to flavour sensation! 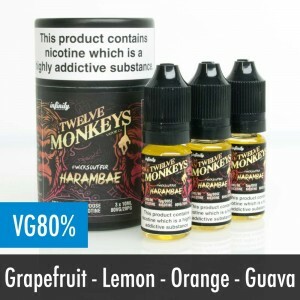 With 3 bottles costing £15.99, Twelve Monkeys E-liquids have delivered the perfect vaping experience at a reasonable cost. 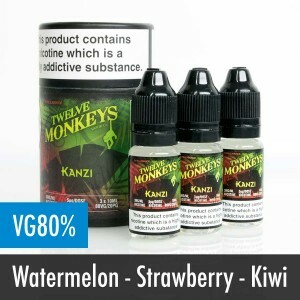 Their award winning e-liquids are made from high quality ingredients and under go a strict production process that ensures every bottle is perfect. 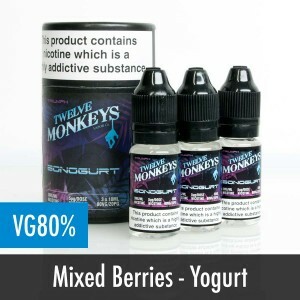 Only using USP grade vegetable glycerin and nicotine as the base ingredients to all their liquids, Twelve Monkeys pride themselves on ensuring their customers have the best possible vaping experience from their e-liquids. 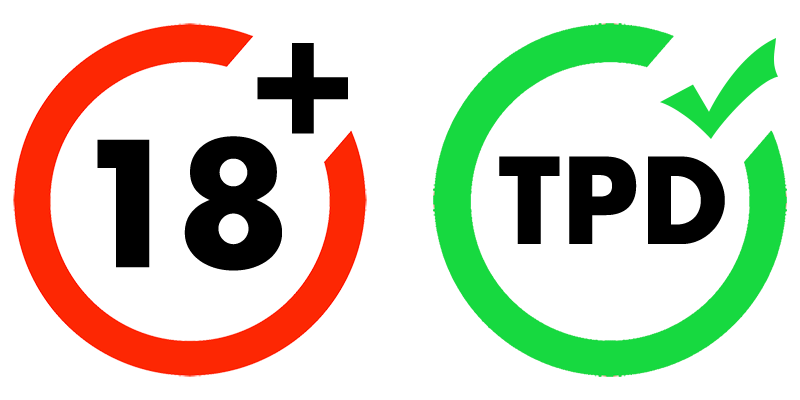 The wide range of flavours range in different VG percentages including 70%, 80% and 90%. 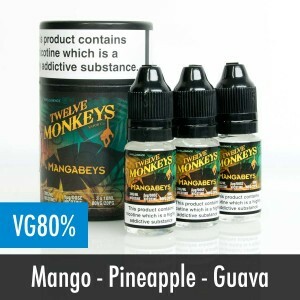 Bottles are also available in 3mg and 6mg depending on your personal preference..
Much more than an e-liquid manufacturer, the Twelve Monkeys brand have gone on to produce drip tips, t-shirts, bags, stickers and more. The striking graphics and packaging of all their products has helped them become a distinctive and instantly recognisable brand in the e-liquids industry.